For years, India has successfully branded itself as the world’s most populous democracy, but millions of Indian Muslims are increasingly reporting that they are facing the darkest hours of their lives, with their patriotism constantly questioned and violently challenged within the country. 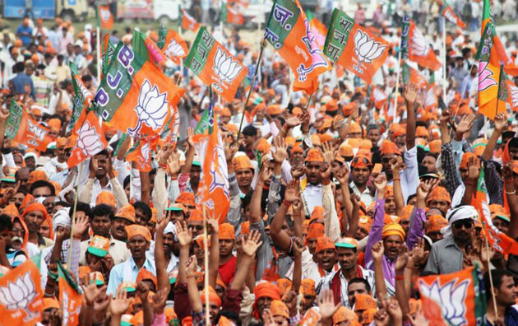 As the ruling Hindu-nationalist Bharatya Janata Party (BJP) moves ahead with its populist policies in the run-up to the 2019 elections, India’s hallmarks of peace, tolerance and respect for pluralism are fast being replaced with fear, bigotry and division; even the rapid economic growth is unable to mask these fissures. Besides the alarming rise in mob violence directed at Muslim communities, what the BJP legislators in the houses of the parliament are drafting is only further aggravating the situation. With The Citizenship (Amendment) Bill, 2016, the BJP plans to change the definition of illegal migrants explicitly on the basis of religion. The proposed Bill seeks to amend the Citizenship Act, 1955, to provide citizenship to illegal migrants from Afghanistan, Bangladesh and Pakistan who are of Hindu, Sikh, Buddhist, Jain, Parsi or Christian extraction. However, the Act doesn’t have a provision for Islam. The Bill also seeks to reduce the requirement of 11 years of continuous stay in the country to six years to obtain citizenship by naturalisation. While, this new bill might not seem that absurd to many, the core of the issue lays in a corresponding move by the government’s National Registration of Citizenship (NRC) underway in Assam state in the northeast bordering Bangladesh, which is setting out to identify ‘legitimate’ citizens. It is aimed to detect Bangladeshi nationals who might have entered Assam illegally. So, if the Bill becomes an Act, the Muslims identified as ‘undocumented immigrants’ face becoming stateless as there is no treaty for the deportation of refugees between Dhaka and New Delhi. Results of the NRC identification process are expected at the end of this month, but in last year’s first draft 2.9 million women, most of whom are Muslim, and nearly 4.5 million others were part of about 13 million people who were considered by the process as ‘illegitimate’ citizens and thus left in limbo. If The Citizenship (Amendment) Bill goes through the BJP-majority parliament, about 1.5 Bangladeshi Hindus residing in the state would be eligible to become Indian citizens. With this engineered bid to change the demography of such a large area on a religious basis, this is no less than another Rohingya-like human catastrophe in the making. Support the Human Rights Network in India to help discriminated minority groups on spot! With the eyes of the world fixated on the two leaders, Trump has chosen to side with America’s greatest adversary, Russian President Vladimir Putin. The tragedy of Syria and Putin's ruthless role in it didn't keep him from hosting the Soccer World Cup - nor did the world. Where does that leave us? The new Spanish government, headed by socialist Pedro Sánchez, has announced the exhumation of Francisco Franco remains. Is residual terrorism striking back in Pakistan? Another ISIS attack in Pakistan has left 130 people dead and puts pressure on the country to become more vocal about its resistance to the Taliban. Although tourism is contributing to the economic recovery of the city, the new cosmopolitan Lisbon is leaving a lot of people behind. The campaign to save the Supreme Court is thus a battle for the future of the United States. It is a fight to secure the integrity of its democracy. As protesters prepare to take over London's streets in response to Trump's U.K. visit, deeper criticism should be posed to May and her cabinet's intensions.